I love to eat eat and eat. But sometimes due to a hurry situation, you never thought that there is a possibility that you accidentally bit the part of your lips. Yes, I bit it and that cause a sore. I can't eat freely and I can't enjoy my food at that time. Eureka! I know the treatment already. hahaha! How? That was my medication before for this problem. A bactidol for gargle and Pyralvex for the sore. It’s very effective. Bactidol is an oral antiseptic and has a power of cleaning that differs from ordinary mouthwash. Actually I used it with 1:1 ratio, meaning 1 part of bactidol to 1 part of water and gargle it within 60 seconds. 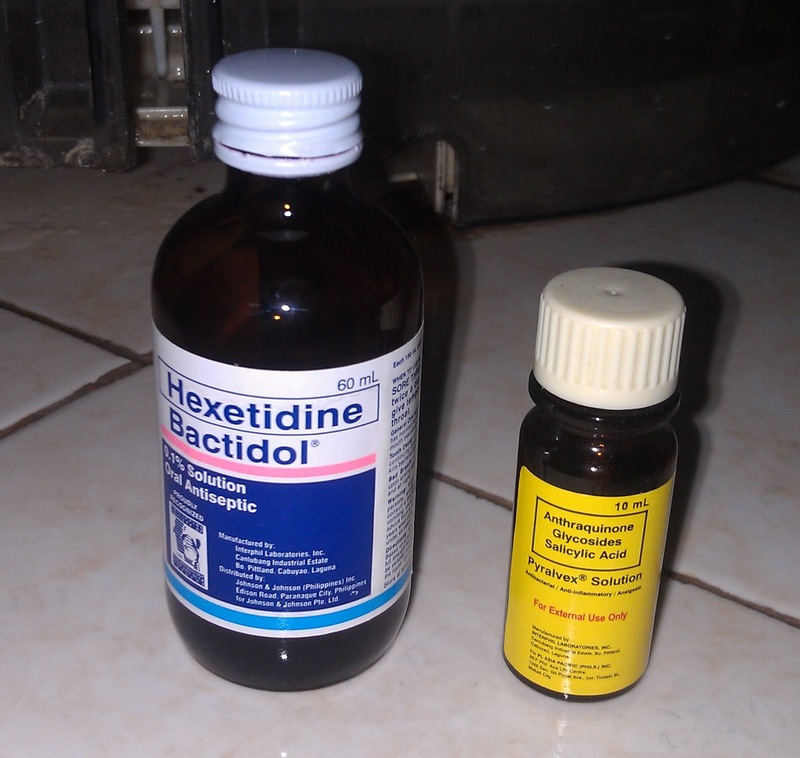 The Hexidine Ingredients helps to cure mouth sore and sore throat that keeps your mouth away from sore. :) I first used pyralvex when I was in grade school and until now to cure my mouth ulcer or sore. It is a brown solution comes with a like a small paint brush that you use when applying it on the sore area. I was very satisfied with the result so I just wanna share this to minimize the healing period of that annoying sore.